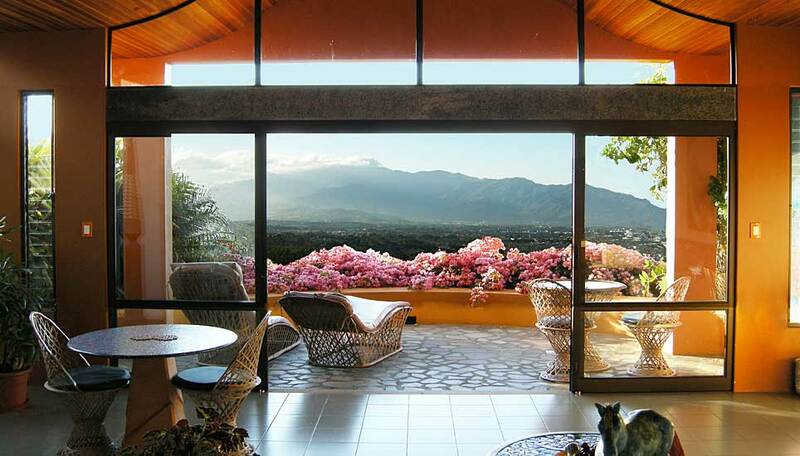 Nestled in 40 acres of tropical gardens with panoramic views of the Central Valley. Alajeula, close to San José International Airport. Xandari Resort & Spa is open year round. Nestled in 40 acres of beautiful tropical gardens with around 4km of scenic trails, Xandari is a little oasis in the countryside. 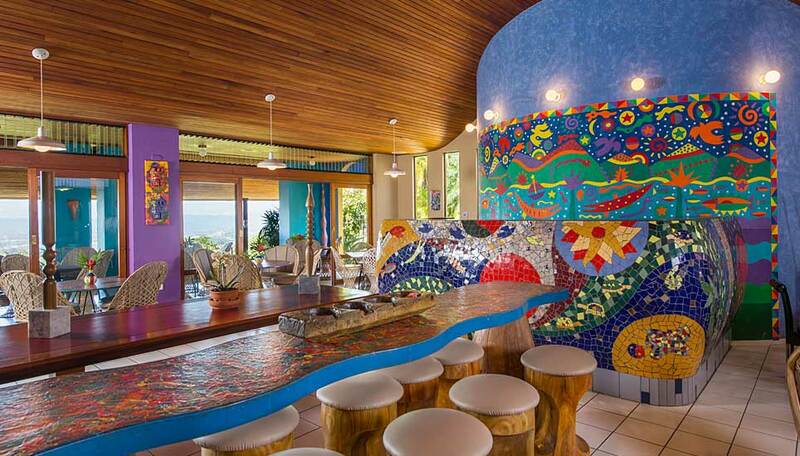 There are 24 individually designed villas with panoramic views of the Central Valley. 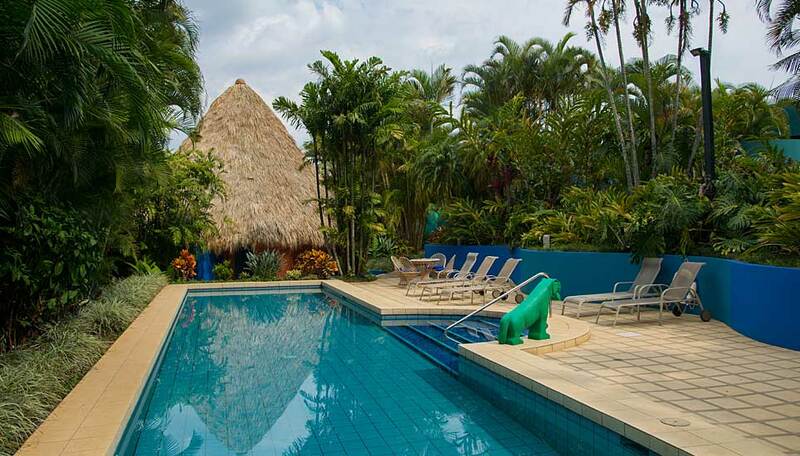 The tranquil setting is only 20 minutes from San José International Airport but you are in the heart of countryside. 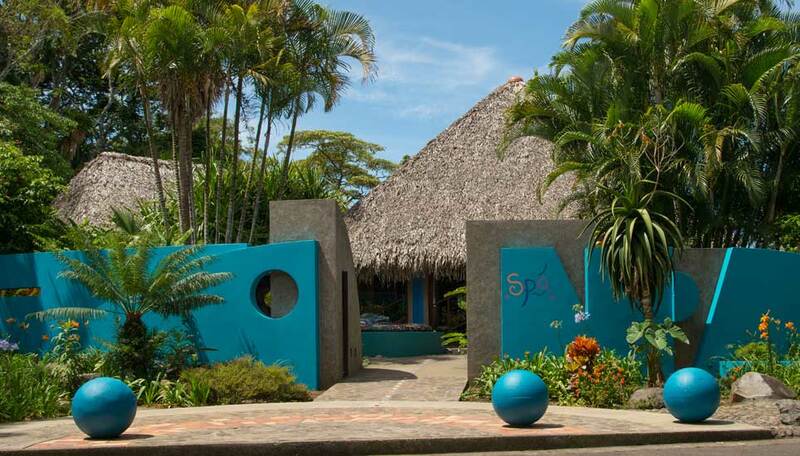 The Spa Village, set in a tropical garden, offers a wide range of natural treatments and Jacuzzis with stunning valley views or there are 3 swimming pools to try. The restaurant offers a both local and international dishes, many using the organic produce from the restaurant’s own greenhouse and vegetable gardens. Why go to Xandari Resort & Spa? Xandari is a destination by itself, not an overnight airport hotel. Here you can hike on site to waterfalls or spend time in the lush gardens, spend a full day in the wonderful spa, enjoy the orchid collection or the 3 heated pools. Sit in your villa overlooking the Central Valley mountains and coffee plantations, visit the crater of Poás Volcano just 20 minutes drive away or visit a real coffee plantation where you will learn all the history and process of the Costa Rican golden bean. There’s a lot to do here, in the hotel itself and in the surrounding countryside. 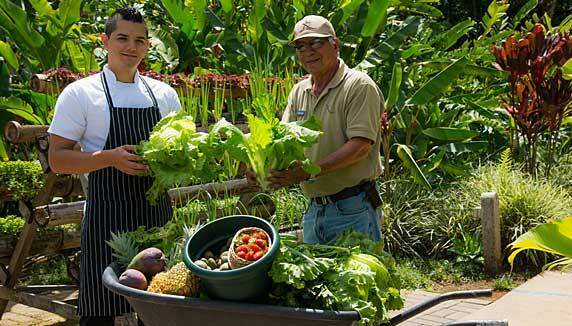 Situated with in 40 acres of natural gardens and old forest, Xandari Resort is a small oasis in the Alajuela area. Although rare, mammals such as armadillos, porcupines, gray foxes, and tayras have been spotted, along with the very common variegated squirrel and some nocturnal bats. Certain reptiles, such as the tiger rat (oriole) snake, boa constrictor, and basilisk lizard, are also uncommon sightings, while green spiny lizards and Central American whiptails regularly cross the paths of guests. Dozens of butterfly species visit the countless varieties of flowers in the grounds, and over 130 bird species, of which about 90 are residents, have been recorded. Brilliant species like the blue-crowned motmot, yellow-throated euphonia, montezuma oropendola are seen frequently, while elusive birds such as the orange-billed nightingale-thrush, barred antshrike, white-eared ground-sparrow, and grey-necked wood-rail can be heard regularly from the forests. Each room has a safe, hair dryer, mini bar, coffee maker and free local calls. A continental breakfast, local telephone calls, access to 4km of on-site walking trails. 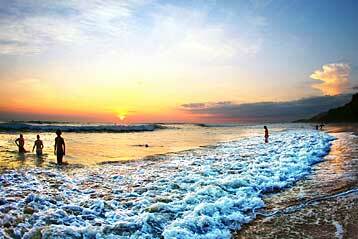 High Season: November 15 to April 30 (except Dec 24 to Jan 02). Holiday Season: Dec 24 to Jan 02. Green Season: May 1 to November 14. Each of Xandari Resort & Spa’s 24 spacious villas are unique and individually designed. All villas feature private garden terraces and panoramic views of the Central Valley. The original 17 villas and 2 swimming pools are located on the East Hill, with easy access to the main building. 7 villas are located on the West Hill, close to Xandari’s full-service Spa Village. A walking trail through botanic gardens leads to the main building. PRIMA VILLA Each villa is about 500 sq feet and housed in a buildings of 2 or 4 villas, with either a king size bed or 2 full beds. All Prima villas are found on the East Hill. Villa No. 20 is our only round villa, with a dramatic high palm roof, king size bed, and a garden view (rather than a Central Valley view). PRIMA PLUS VILLAS Loctaed on the East Hill, villas 15 + 16 are approx. 735 sq feet and feature a sleeping alcove with a king size bed plus a sofa bed in the main area. Over on the West Hill, villas 23 + 24 are about 600 sq. feet and are stand-alone individual villas with 2 full beds plus a sofa bed and they enjoy a larger private garden. ULTRA VILLA Stand-alone spacious villas individual villas with approx. 735 sq. feet of space, with either a king bed or 2 full beds. These villas are built on the East Hill. ULTRA PLUS VILLA Also located on the West Hill, these spacious villas are 820 sq. 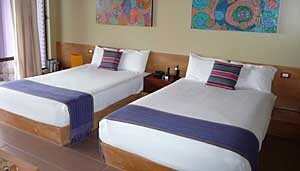 feet, with a king size bed, 2 sofa beds, and a large private garden. Villa 26 is unique in that it has a separate bedroom and is designed to accommodate the handicapped. All other villas are open plan. THE STAR VILLA is Xandari’s newest and largest villa. It has two bedrooms, living room and dining area, a full kitchen, and an office with internet. The master bedroom has a king size bed, and the second bedroom has two full beds. The covered terrace overlooks the sunset pool. A high wall and entrance gate enclose a spacious garden ensuring privacy. Children under 4 stay free. There is a small charge for children aged 4 – 11. Children over 12 are charged as adults. There is free WiFi and a reasonable mobile signal in all rooms and common areas.